The joke is – you don’t have a million dollars, right? The same logic applies when you upload a video to the internet. In this case, the value is in the amount of views and the number of shares you get. Contrary to popular belief, there is no hard and fast rule to create a viral video. It’s simply compelling content placed in the right place at the right time. A beautiful alignment of art, science and timing. Simple enough? Not really. A few weeks ago, my wife’s store was cased and burgled by a man who’s been stalking Western Ave in OKC for weeks. He’s hit a variety of retail stores up and down this avenue and has yet to be caught. Luckily, my wife had security cameras installed that caught the crime as it happened. I took a portion of that footage and uploaded it to my Facebook page. In a little over two days, I had over 100,000 views and 2000 shares. In addition to being surprised about the response this video received, I learned a valuable lesson about which platform is best to launch a video. Facebook is clearly the dominant player in this space. Thanks to Facebook’s new native video player, YouTube is struggling to keep up. As social media becomes more important to us (its value is only increasing), platforms like Facebook, Twitter, YouTube, Instagram and Google + will need to evolve to keep up with our demand of more, quicker, better content. Consumers and businesses alike will gravitate to social channels that accommodate our needs the best. For me, and my video, Facebook was the best channel. It will be interesting to see how YouTube, Twitter and the rest answer Facebook’s newfound power and reach. I have a feeling we all will benefit from this competition. In the meantime, the criminal caught on my wife’s video is still on the loose. I can only hope that, thanks to the Facebook community, he’s afraid to stick his ugly mug outside. At least 110,000+ people know what he looks like. Now that’s justice. This guy has been going up and down Western Avenue in OKC ripping small boutique stores off. In this video, you'll see him ripping off my wife's cell phone. 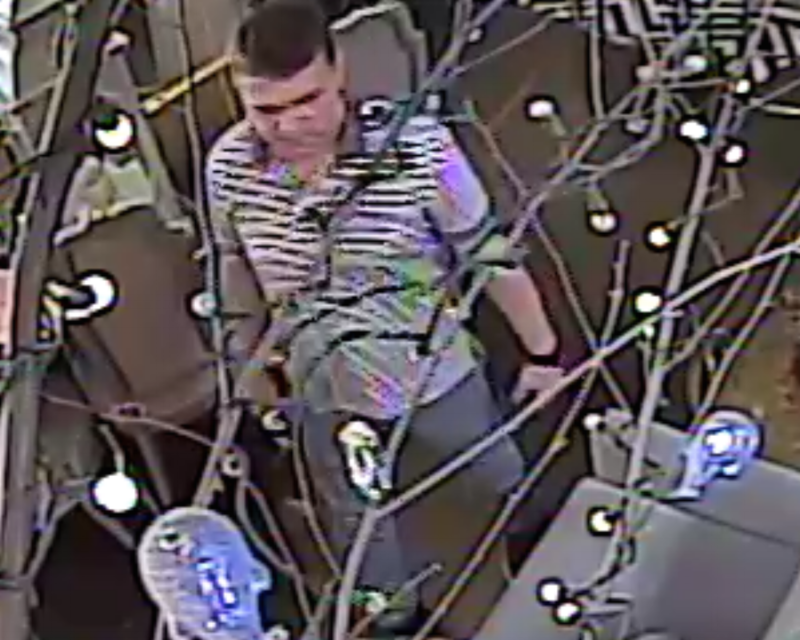 Watch as this guy steals my wife's iPhone 6 from her counter. Please share this video. This criminal is still on the loose.Update: we are definitely looking for this guy. This woman may have just been in the wrong place at the wrong time. She has reached out to us and we have reason to believe that she is not involved. This is not about pointing a finger at or harassing someone who may be innocent. He is definitely guilty. He is our focus.